“Sleep is for the weak” is a phrase we sometimes see or hear but is sleep really only for the weak? In my opinion, sleep is for everyone. Sleep is essential for many aspects in life. The most important reason we all need sleep is health. Of course that is if we have the right amount of sleep. For me personally, I need 9 hours of sleep to feel I’m well rested which is the recommended hours of sleep. That of course includes not staying up late which is what I’ve been trying to accomplish. 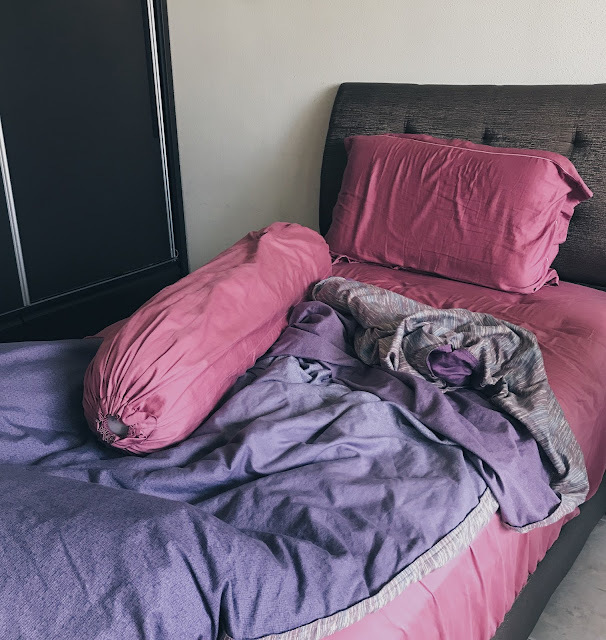 Although I’ve been going to bed earlier as I’ve mentioned before in a post on How To Wake Up Early, as someone who used to stay up late and wake up late, I feel that I can still improve on my timing. Sleep does affect the way we look. Having the right amount of sleep and sleeping well improves complexion. Of course the well known not staying up late prevents dark eye circles and puffy eyes. Besides that, being well rested makes our skin brighter. So the secret to having a glowing complexion is getting enough sleep. Sleep can actually be a mood lifter. I’m personally a deep sleeper so sleep works very well in lifting my mood. Whenever I’m feeling troubled, I would lay in bed and eventually fall asleep while trying to get rid of all the unpleasant memories. Besides being a day time mood lifter, having enough sleep and being well rested at night makes waking up in the morning so much more joyful. When I’m well rested, I feel motivated and full of energy to conquer the day which improves productivity. Linking from my third point above, having enough sleep improves productivity. Ever since I started going to bed early and waking up early while having enough sleep to feel well rested, I’ve seen an increase in my productivity. I could do so much more in a day because I’m more motivated to get my tasks done. Sleep does affect our mindset. Too little sleep and too much sleep makes our mind stressful and depressed. I’ve definitely had these negative mindsets because of sleep and the most recent case is when I was sick a few weeks back. All the sleeping for almost the whole day for days ruined my body clock which made me become unmotivated and unproductive. The lazy me became depressed because I was uninterested in everything. Then anxiousness came into me as I tried hard to adjust back and return to my regular routine. So having the right amount of sleep and being well rested does clear the toxic in our mind and puts us in a positive mindset. Sleep is important but what’s more important is sleeping right, getting the right amount of sleep, not sleeping too little or too much. Of course we have all experienced having little sleep or too much sleep, I’m no exception and the effect of it is feeling tired as if we didn’t rest at all. So treat every night as a break or me time out of the hectic and get the sleep we all need. Sleep isn’t for the weak, sleep is necessary for everyone.